from 3 months up to 5 years. At Buttons we are committed to nurture your child's imagination and creativity, build their confidence through praise, and strong, caring relationships, develop their social skills through trust, respect and sharing and encourage them to grow by inspiring them to love learning. This is why we work in partnership with parents to give children the best start in life. 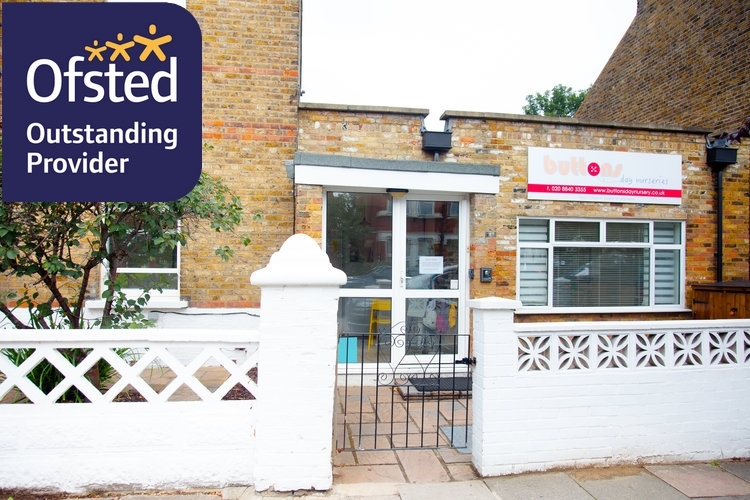 A team of highly experienced and qualified staff are committed to ensuring that the children enjoy and benefit from attending nursery. 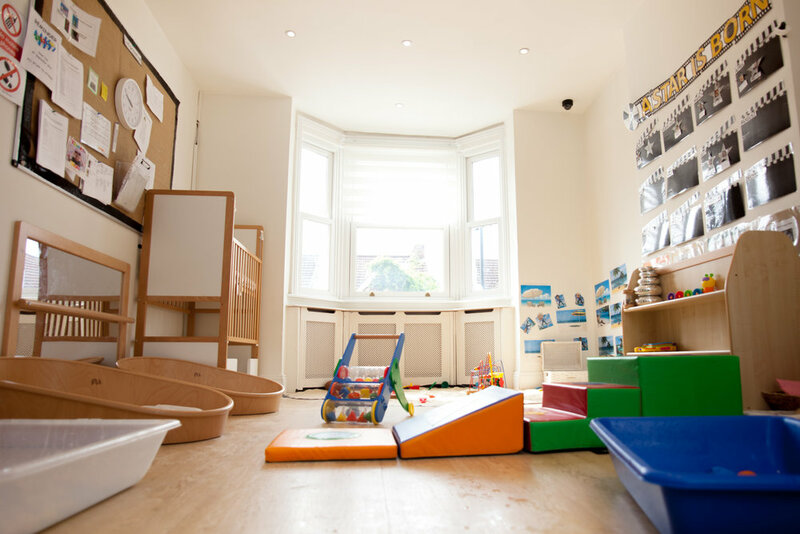 The nursery day is structured to provide specific relaxation, play and teaching times. This is achieved by providing a warm, comfortable and stimulating environment. This site is situated in a residential area just south of the town centre, and comprises an Edwardian house with a large single storey building adjacent. An on-site parking is available. The nursery has achieved Ofsted's highest judgement of Outstanding in their latest inspection, held on 4th August 2017. Please click here to have a look at the report. Monday to Friday from 8:00am to 6:00pm (with optional start at 7:30am). Open during the whole year except for bank holidays and during one week for Christmas. Please note: We will be closed over the festive period from 24th December 2018 and opening as normal from the 3rd January 2019. Check our latest parents satisfaction survey! My son has gone to Buttons since he was 6 months old and he has grown into the most wonderful, imaginative, creative, considerate and kind little boy who is eager to learn and who has the best sense of humour. Whilst my husband and I take some of the credit, we also put it down to the care and attention he has received from all the staff at the nursery over the years. Exceptional and caring play partners who bend over backwards to make all the children feel safe, happy and at home. You can also check our Facebook Page to learn more about our day to day activities!